Some days, life provides you with unexpected magical gifts. They come in all shapes and sizes. Yesterday, the magic arrived in large cardboard boxes. If you read my previous post you will recall that we’ve been finding fun ways to repurpose all of the shipping boxes that made their way to our home this past Holiday season. We used boxes to build a Gratitude Town and a Solar Oven. Now it was time to go box sledding and play! 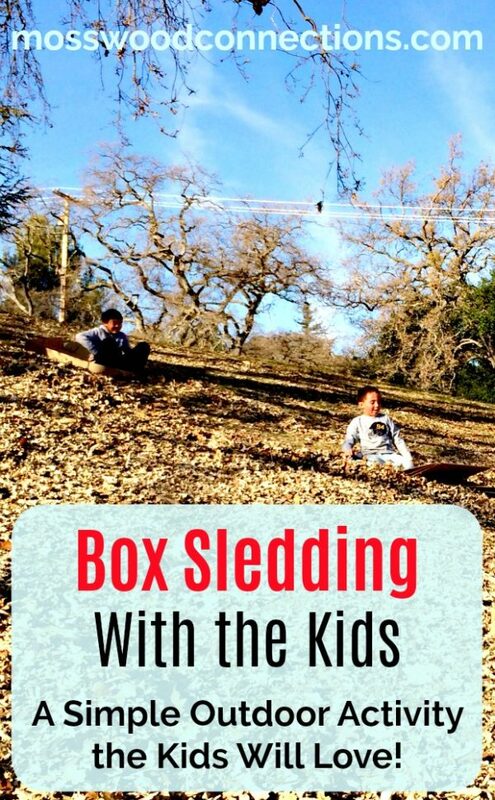 Yesterday we took the biggest boxes and headed for the hills for an afternoon of box sledding. I wasn’t sure how well this would work out but it turned out better than I could have imagined. The kids found a million ways to slide down the hill and came up with lots of silly ideas that filled the air with a constant eruption of laughter. 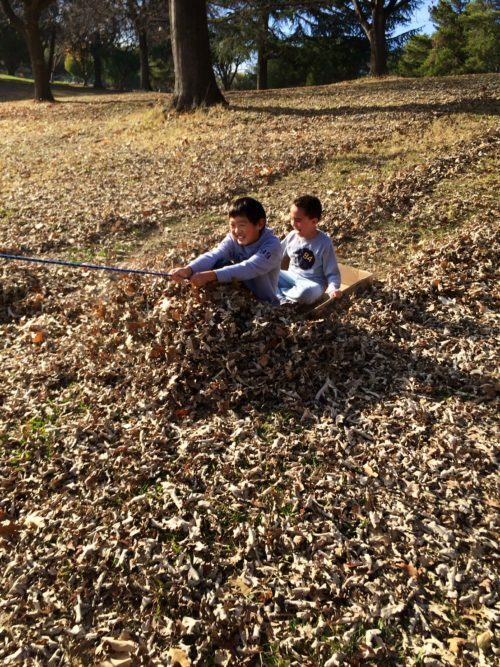 Although to them box sledding was simply having fun, I recognized that it is through these positive play experiences that they are fine-tuning their abilities to work together, to negotiate, to understand social roles, to think creatively, and so much more. The components of play – curiosity, discovery, novelty, risk-taking, trial and error, social etiquette and other increasingly complex adaptive activities – are the same as the components of learning. It is also through these positive play experiences that social bonds are created and strengthened and it is through those bonds that a sense of community is achieved. Positive play experiences create an opportunity for children to work together, to negotiate, to understand social roles, to think creatively, and to problem solve. It involves all those things, and something more. It is a reminder that sometimes keeping it simple is the best way to spend a day.